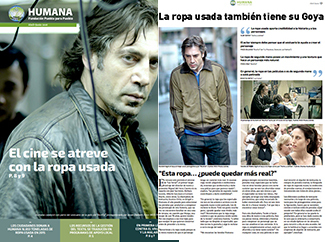 You can download the latest edition of Humana News, which includes an article about textile loans to film producers and theater, an example of the possibilities of reuse. Already you have available a new edition of Humana News, with reports on environmental, development cooperation and local support. Remember that you can consult it online, download it in pdf or from next week, pick up a copy at any of our stores. Reusing textile, key circular economy. Alcobendas, Humana Textile Reuse Award for being the municipality more clothing donated from Spain. 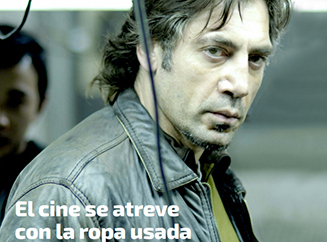 According to Calvia textile management. 16,853 tons of thanks: balance of the collection in 2015. Your clothes used translates into social projects. Prevention as a strategy to face contagious diseases. The film dares used clothing. Committed to organic farming in Andalusia. Our stores claim sustainable fashion at the gates of Fashion Revolution Day. Our customers say. And you, why shopping at Humana?